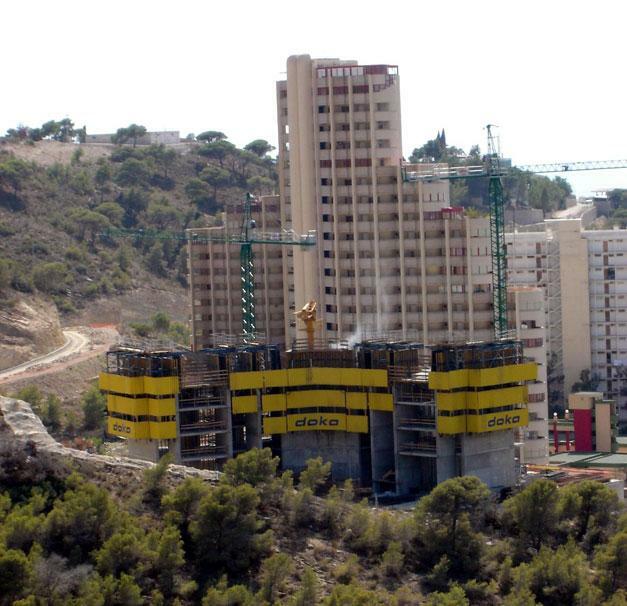 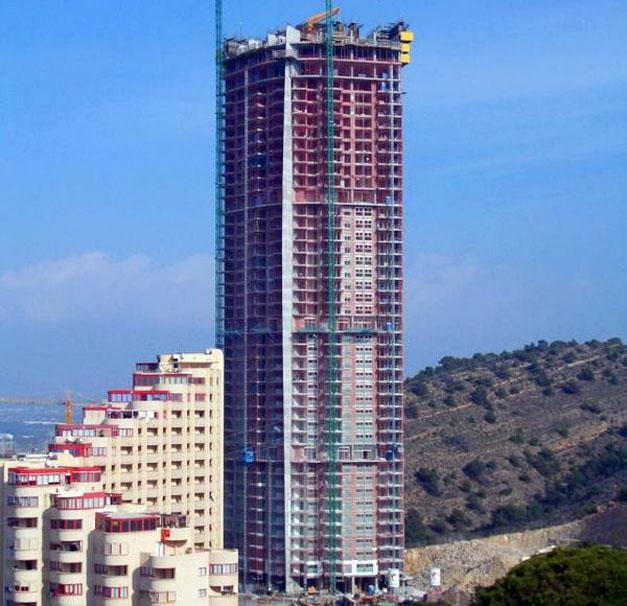 The Torre Lúgano is the tallest building in the Spanish town of Benidorm, overlooking the Levante beach. 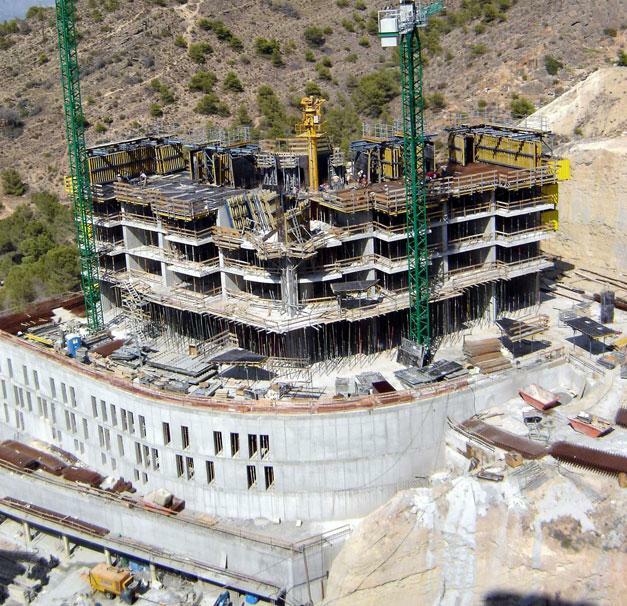 The contracting JV of 'U.T.E. 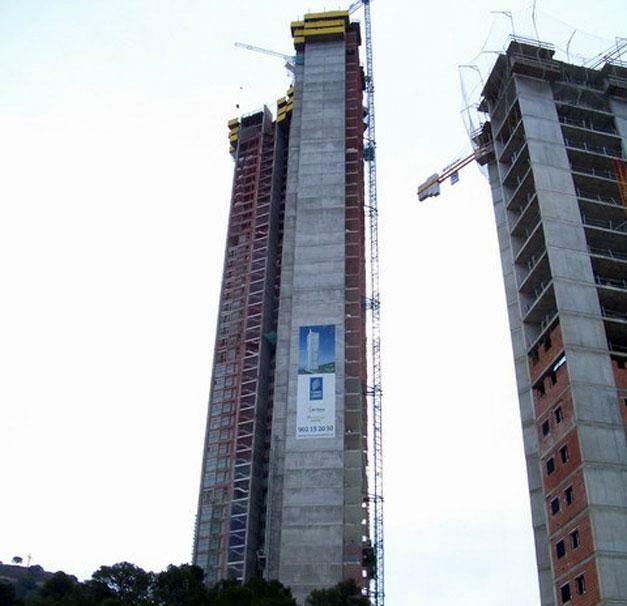 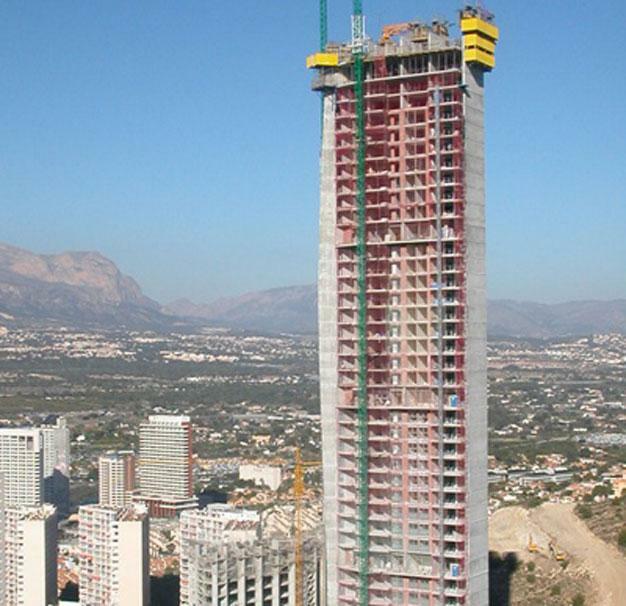 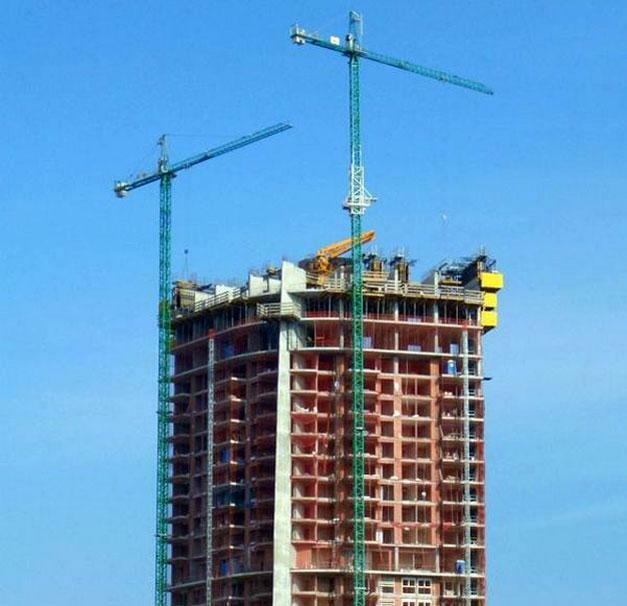 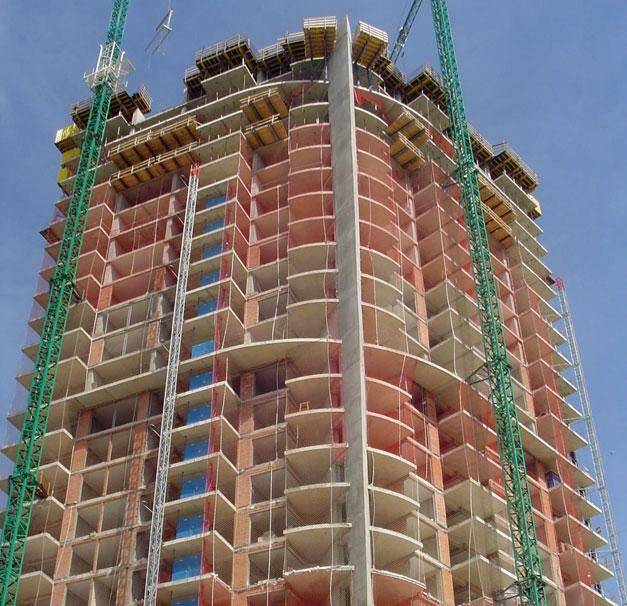 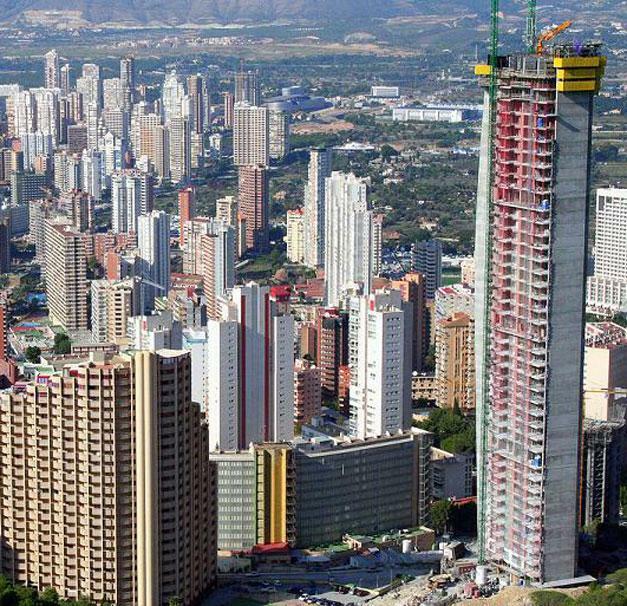 Torre Lúgano' constructed the walls and floor-slab on each storey of this 158 m apartment tower in a single pour. 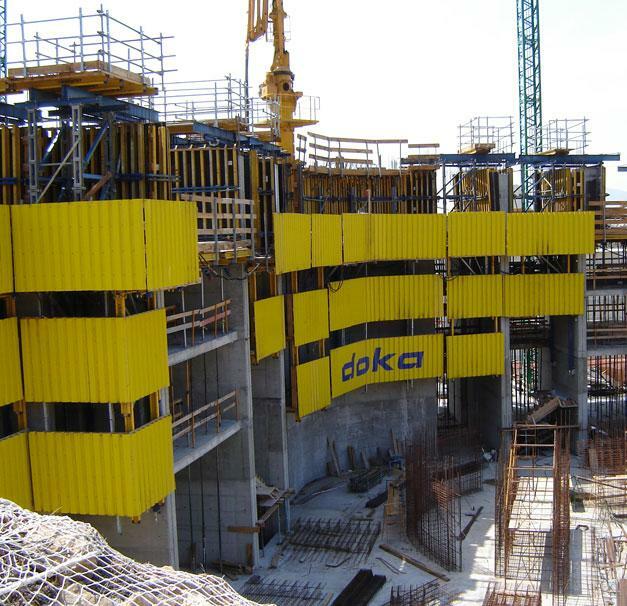 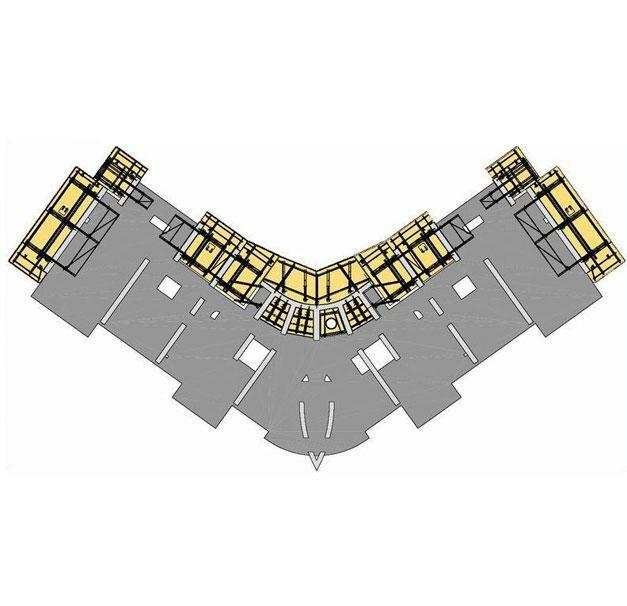 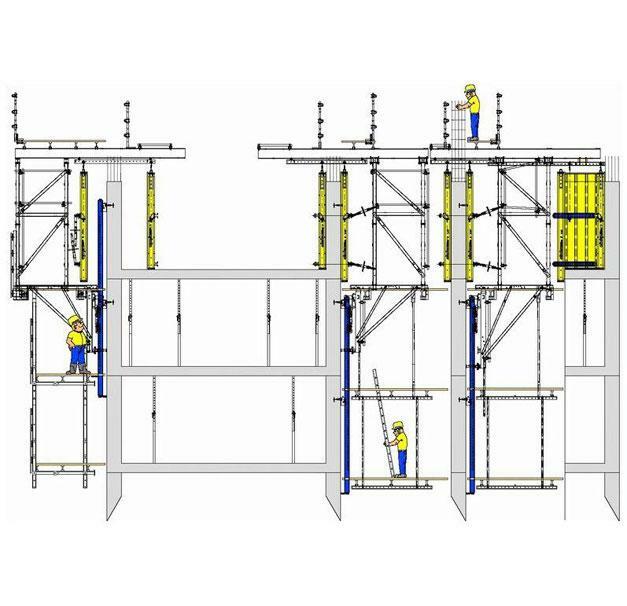 The trapezoidal metal sheet enclosure of the Automatic climbing formwork SKE allowed work to move ahead safely and swiftly.